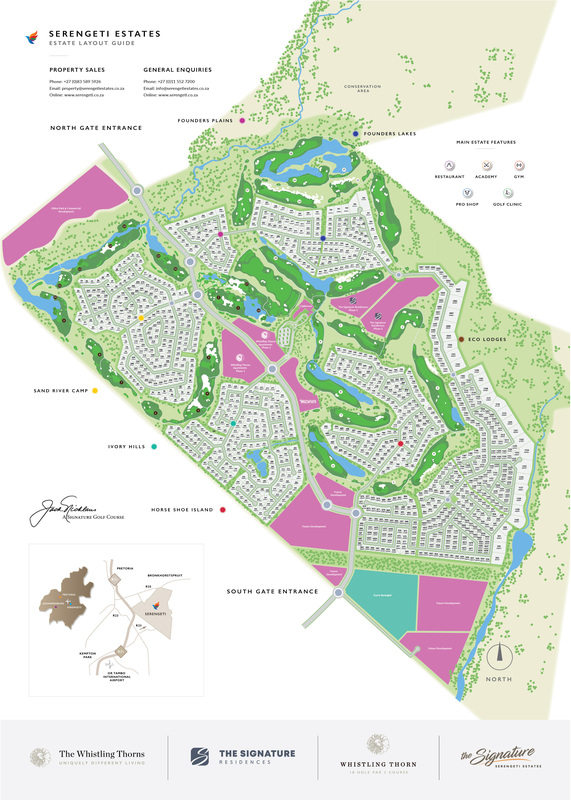 The pristine nature of our course makes it an obvious choice for tournaments of distinction. 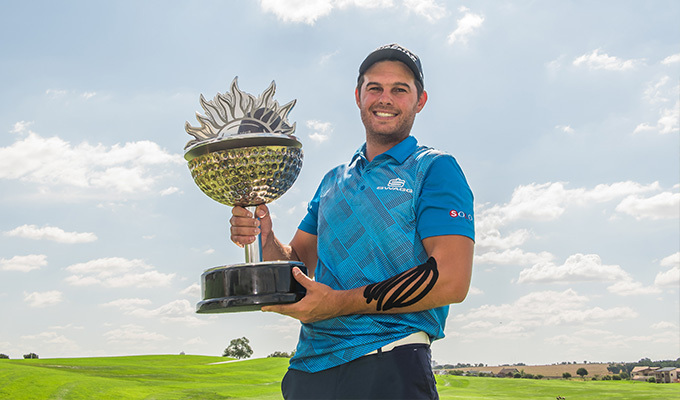 Small wonder, then, that Serengeti Estates was selected to host the SA Open Championships in 2011 and 2012. Phone us directly on +27 (0)11 552 7200 for more information. 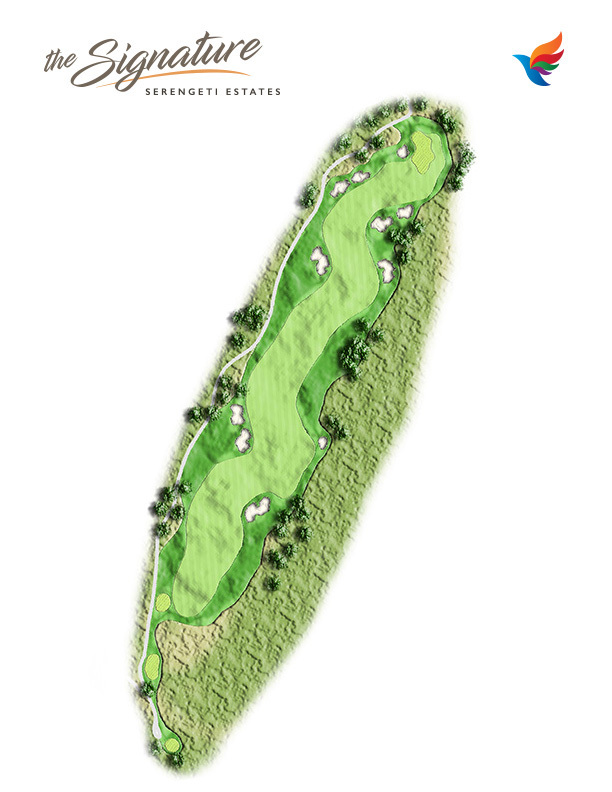 Your tee shot should favour the left side of the fairway towards the left hand fairway bunker. Avoid the bunker short left of the green with a short iron approach. Finish with a par on this opening hole and you should be happy with the result. 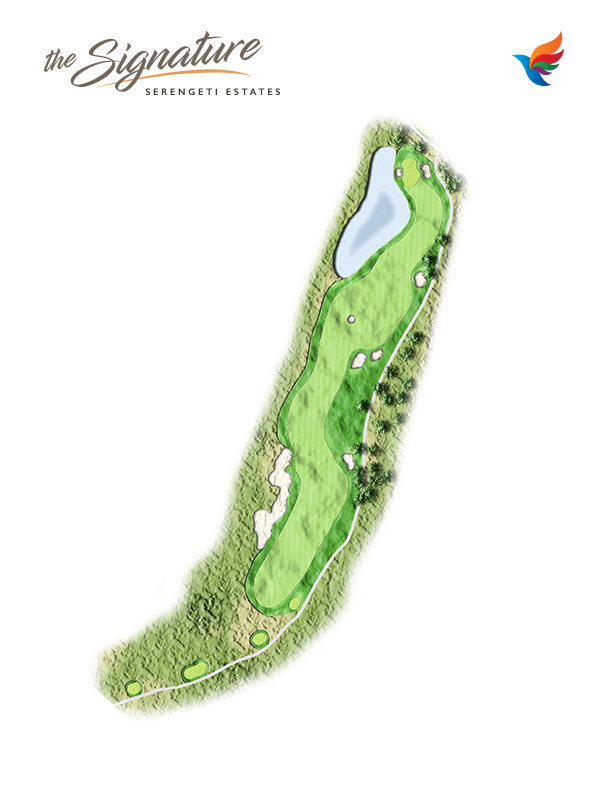 A risk and reward par 4, take on the green but beware of all the dangers around the green. 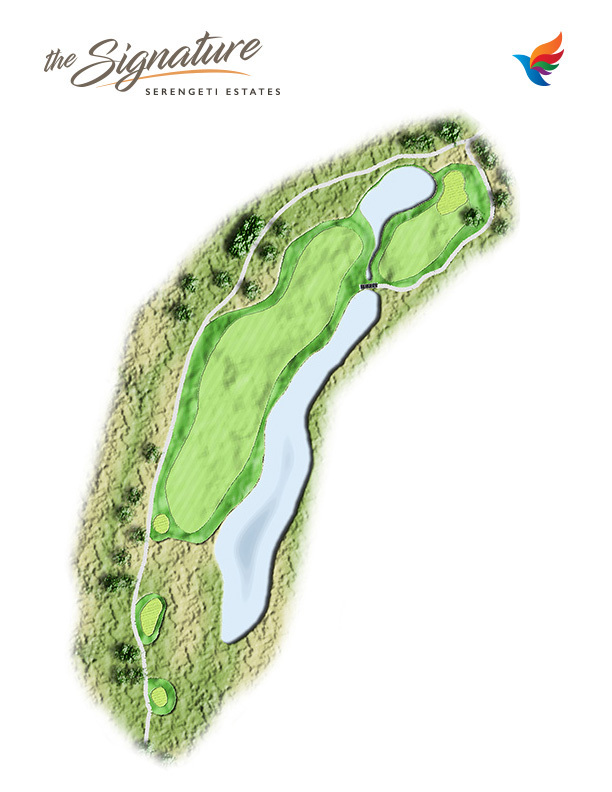 Recommended hybrid or long iron off the tee should leave you with a short pitch shot to the very small undulated green. 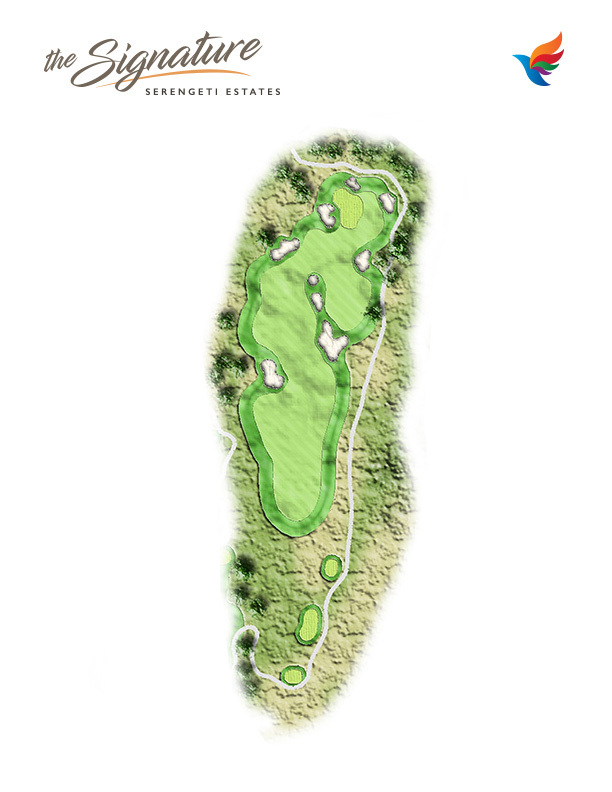 Play this opening par 5 properly and a birdie is on the cards. The tee shot is key and with a slight blind tees shot , take note of the fairway moving from left to right of the tee and the rough on the right over the hill. Taking on the green for two could be a challenge with water protecting it on the left. A recommended mid iron should leave you just short of the water and from there a wedge will set you up for a birdie. A long waste bunker protects this hole all the way down the left. 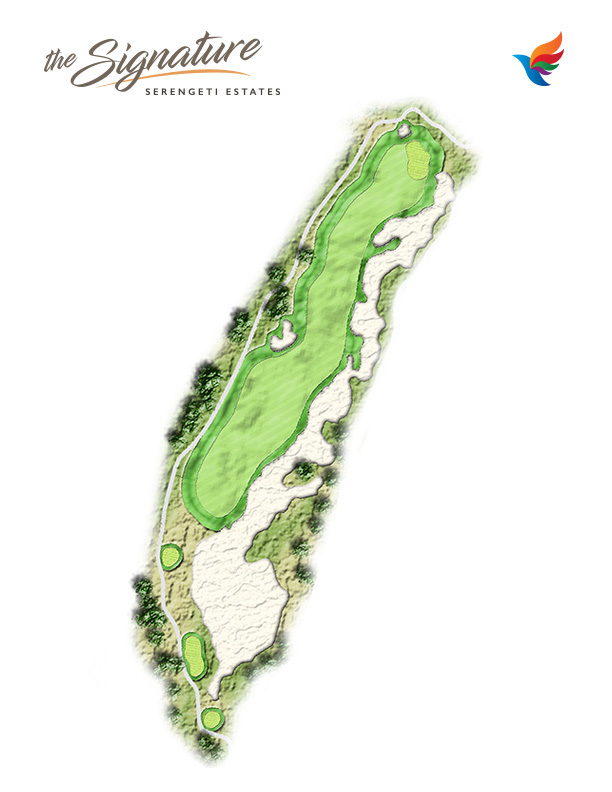 Avoid the center bunker, a long hitter will be able to carry the set of bunkers in the middle. From here an accurate approach is required to a green with some tricky pin locations. 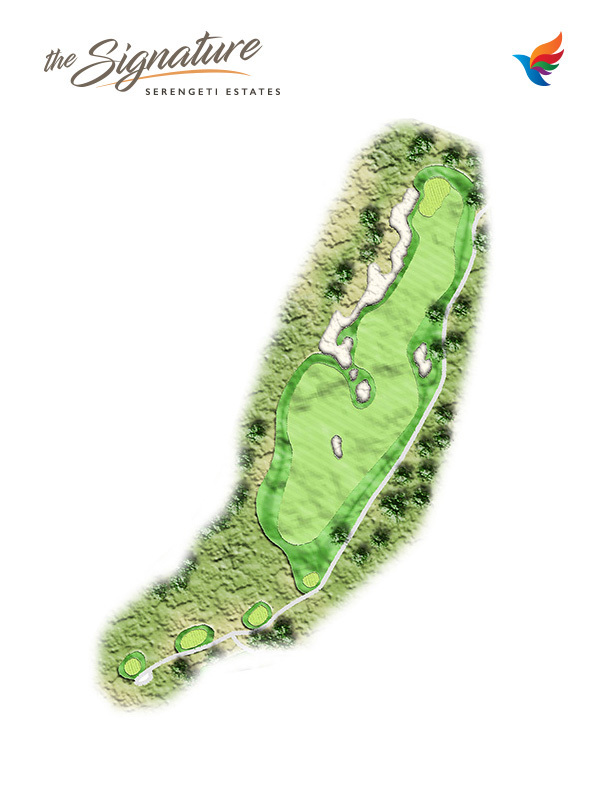 The first par 3, with a generous green still requires some thinking of the tee ,with the big bunker protecting it short right. Missing the green left will still need some touch due to the run off collection area that was provided. The runoff areas has been cut down to give you an opportunity to putt from there as the green runs away from you to the flag. An intimidating tee shot to the fairway. Favour the left side of this hole as water runs all the way down the right and cuts across the fairway in front of the green. A precise approach is needed to get to this very difficult green complex. Not the stroke 2 for nothing! A picturesque driving hole with the teff grass in front of the tee. A tee shot that is blind to a fairway that slopes from left to right. Favour the left edge of the bunker in front of you. Favour the right side of this green sloping from the back. A par would be a good score here. 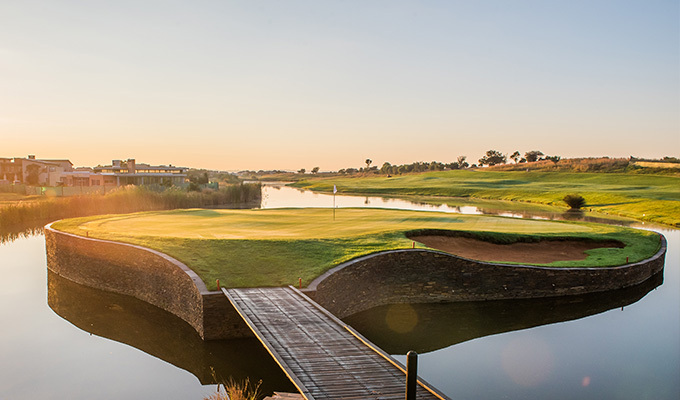 The signature hole of Serengeti is a short but picturesque par 5 with a water hazard running down the right hand side of this challenging hole. 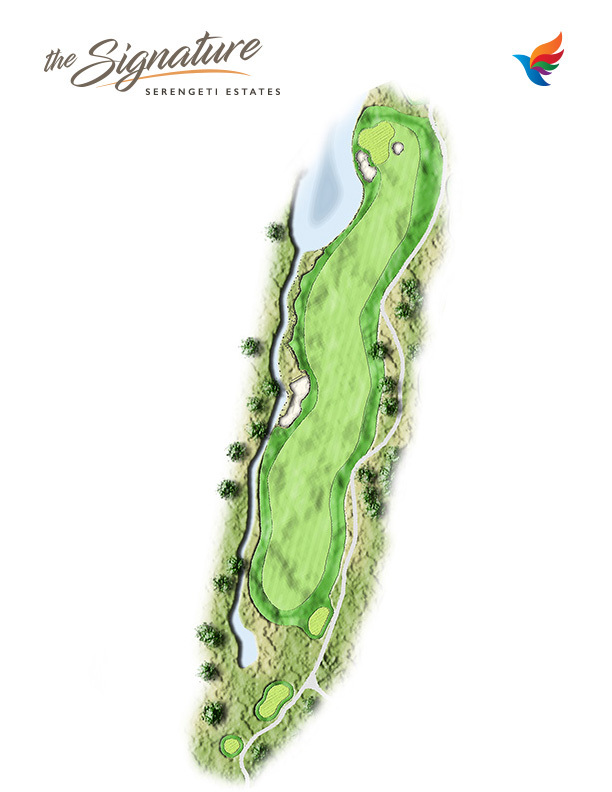 The tee shot requires a well struck driver down the left hand side because the fairway slopes left to right. 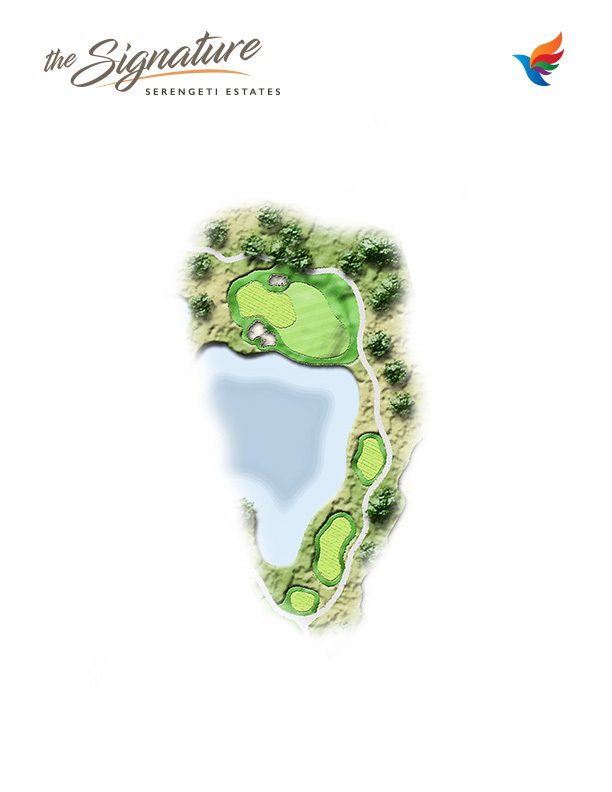 For the brave an accurate approach to an island green will set you up for a possible eagle but for the timid a short to mid iron short of the water will set up a pitch to the green. A beautiful finishing par 3 with the clubhouse as the backdrop. 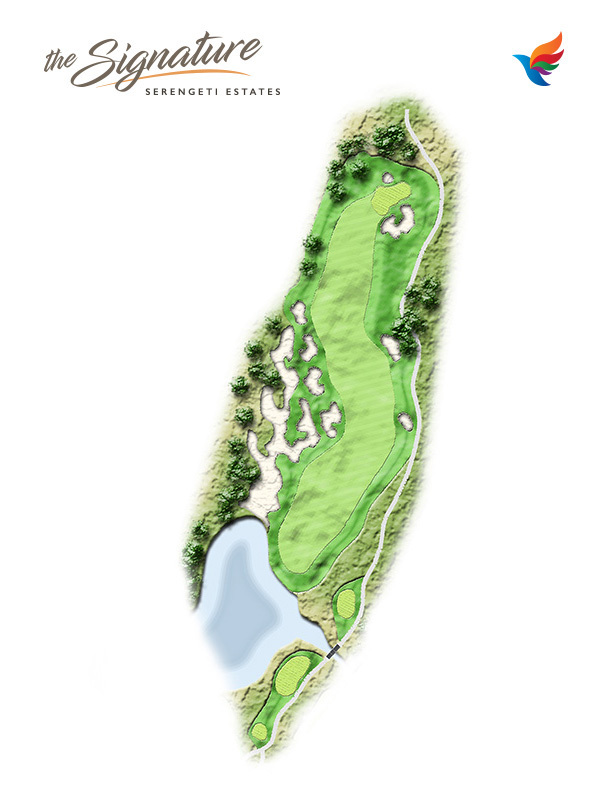 A mid to long iron will be the club selection to a green with a creek flowing to the left and a bunker protecting the back right of this undulating green. Keep your tee shot to the right to avoid a finishing bogey. Jack’s known for his bunkering. Big waste bunker on the left. A 3 wood is the club of choice here to leave you a short iron in. Try and leave yourself a full shot to allow you to spin the ball as the greens is narrow. 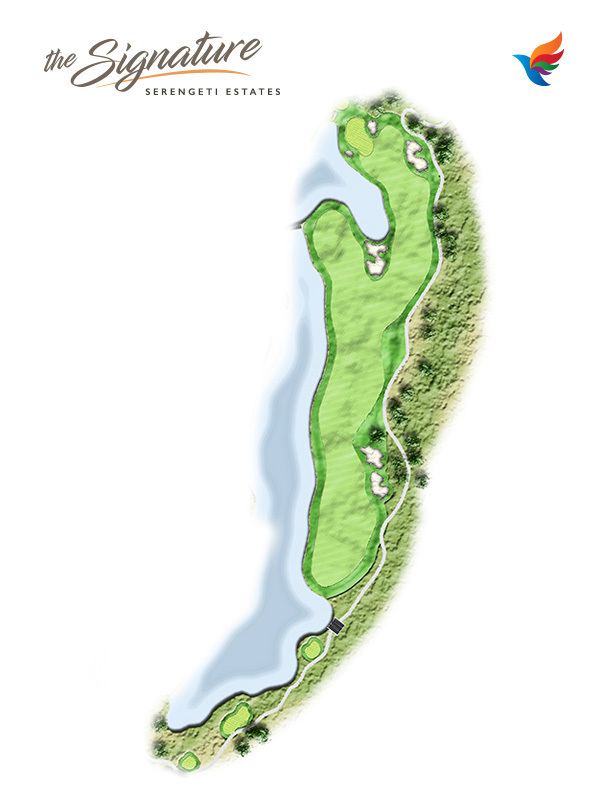 The big hitters can use driver and carry the bunker on the left to open up the green for a short pitch. An intelligent player will always walk away with a good score here. 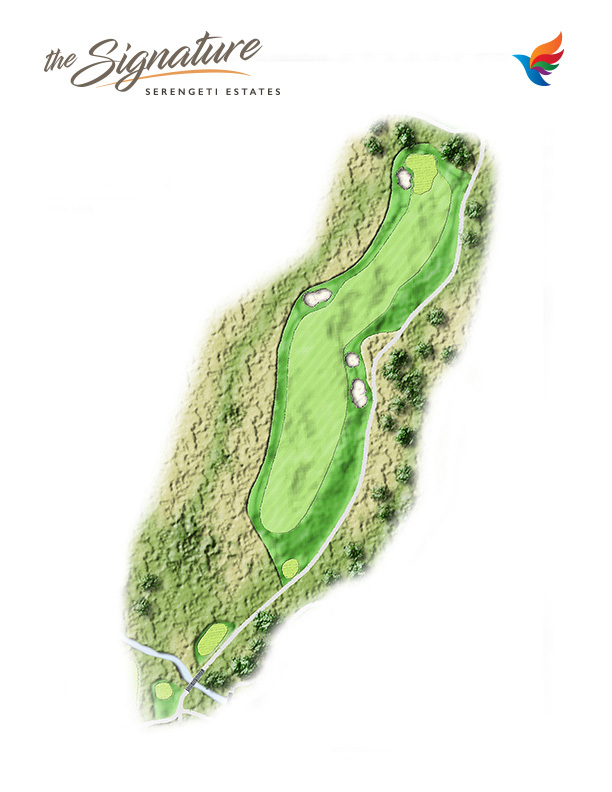 Driving of the club tee will have to be aimed just on the right edge of the bunkers on the left to avoid the hidden rough on the right of this hole. 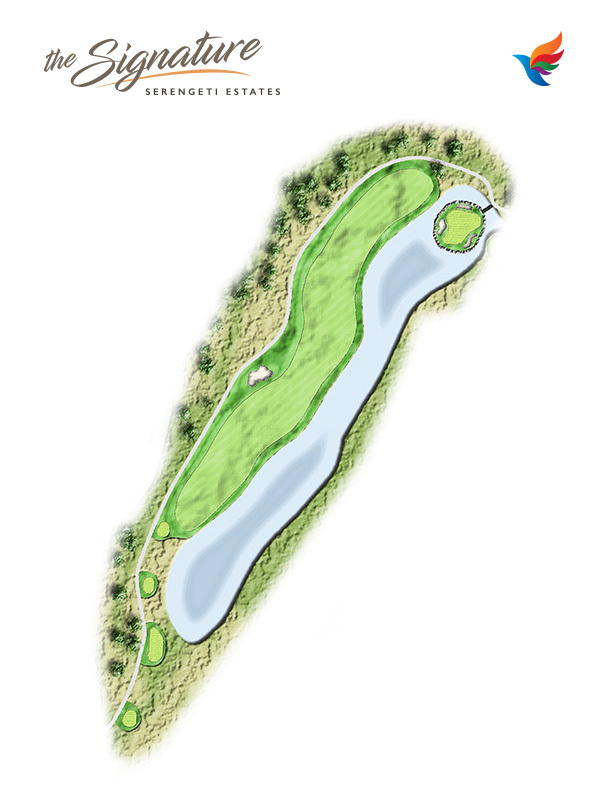 Cleverly designed with bunkers short of the green , if carried could feed the ball to the hole with a long iron for your second shot. The percentage player will try and get there in 3 as this hole can allow for some big numbers. A visual masterpiece by Jack. 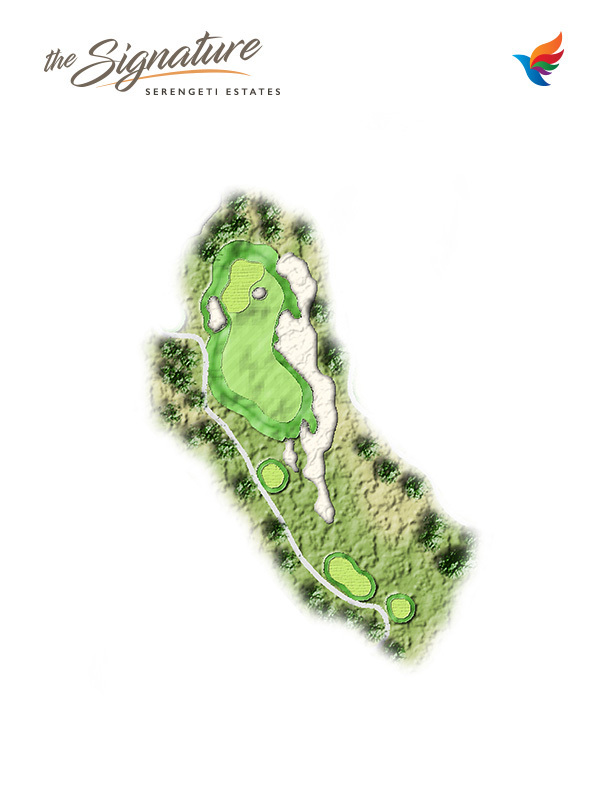 A par 3 with a big waste bunker with the rugged edges to intimidate. 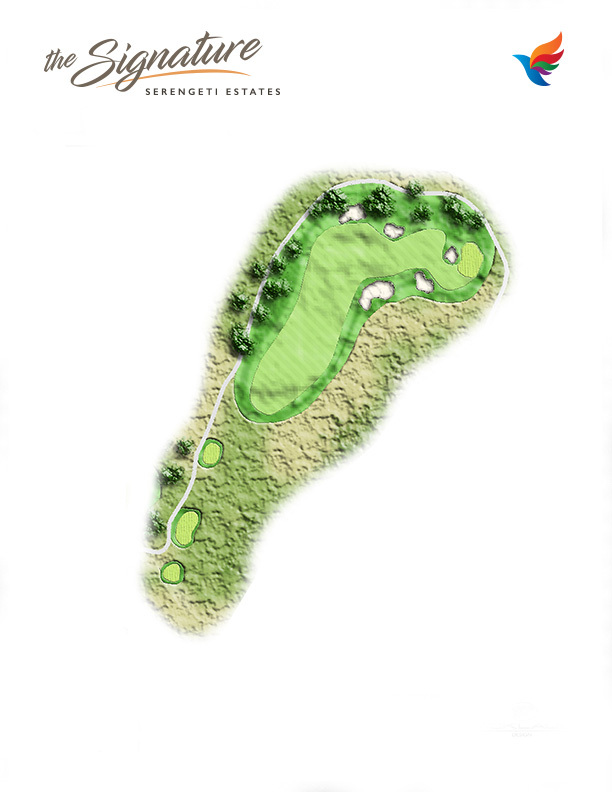 Aiming for the middle of the green here is your play to ensure that par and for the lucky few… even a birdie. Waste bunker from tee to green, keep the tee shot straight here. Aiming for the right edge of the bunker would be ideal , which allows for some error. The fairway is more generous than it looks of the tee. A good drive will leave you with a mid iron to a green situated above you. Take a par and run! 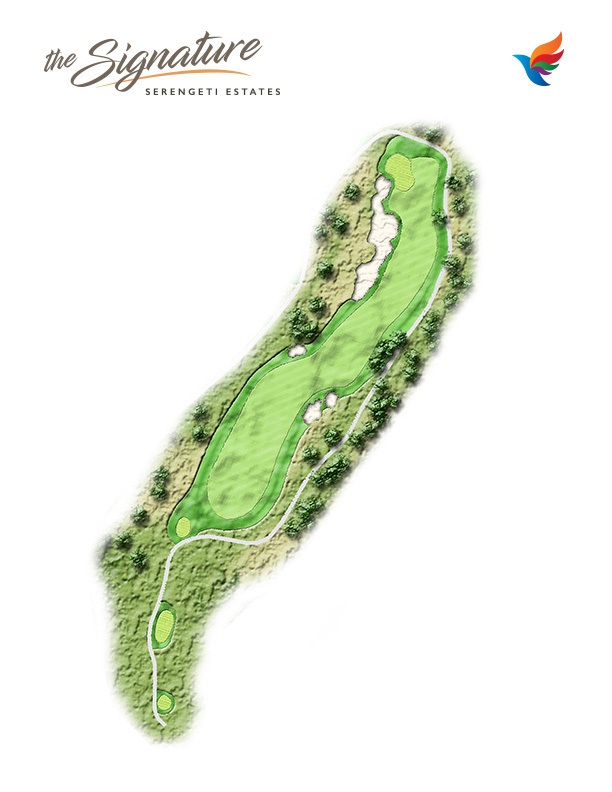 The aggressive golfer will be able to fly the bunker off the men’s tees with a driver but the landing area is small. The percentage play long iron or hybrid off the tee , leave a short iron in and birdie is achievable. 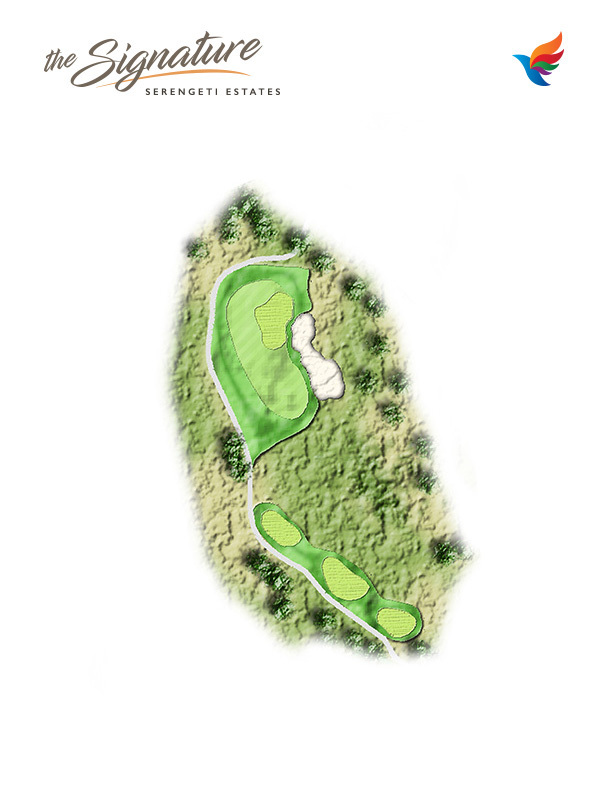 Short par 3 even from the championship tees , but with a green that is narrow and undulating. Mid iron will allow even the timid player a chance at birdie. 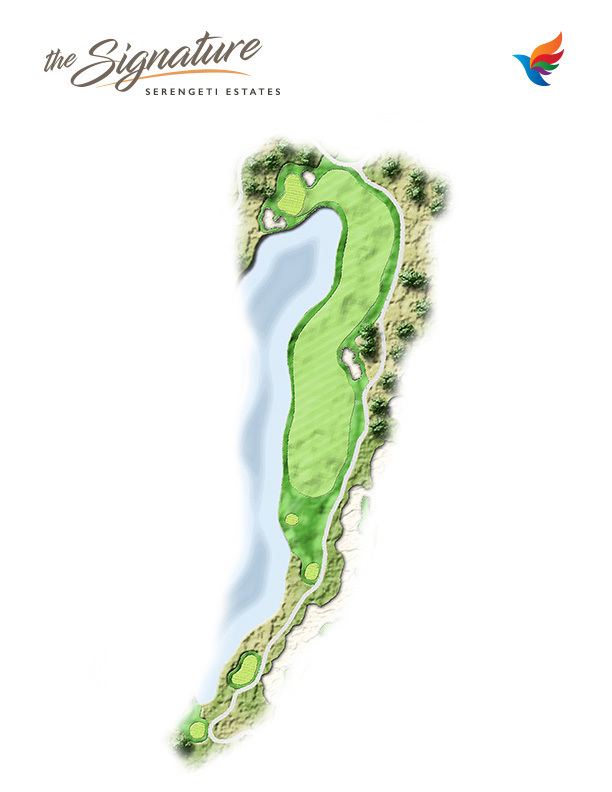 Intimidating par 5 off the tee for the average player , with a long carry over water and water all the way on the left. Tee shot aimed at the left bunker will keep you smiling. The big hitters can go for 2 but the green is protected with water short and left and a few pot bunkers. 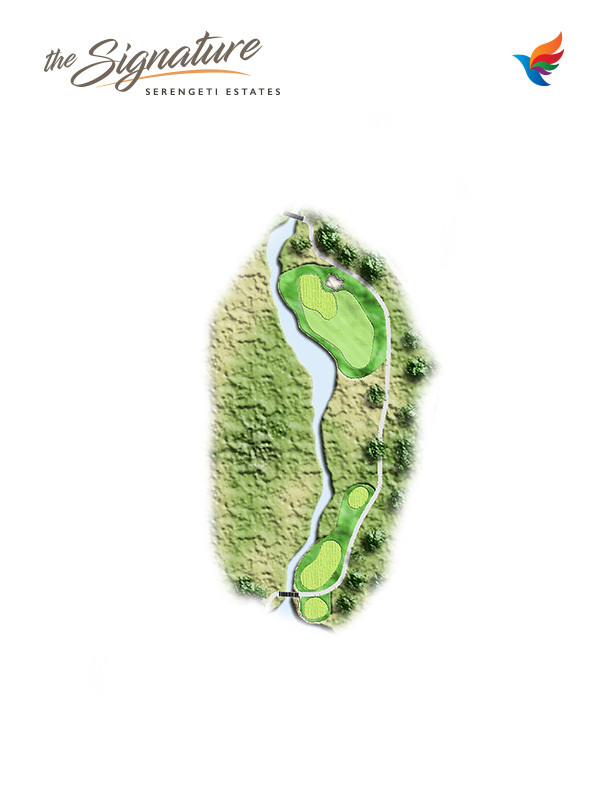 Intelligent players will take this green on in three shots. . Leave your second shot short of the water and a short iron will always set you up for birdie. A deceiving par 4. The hole looks long off the tees but is drivable by the big hitters. The big hitter can aim the ball over the bunkers on the right. Achieving this will leave you with an open green to chip and put to. The percentage play off the tee is to keep the ball the the left bunkers in the fairway. This leave you with a tricky pitch to a narrow green protected by a bunker short left. Finishing par 4 stroke 1! Your drive is to be aimed at the right edge of the fairway as it slopes from right to left. Keeping it right also allows you to attack the pin with an open green. Leaving it left will reduce your chances to an easy par. While people are watching from the balcony, the second shot is intimidating, with water on the left. Hit the center of the green and you have a good chance of making that par in front of the crowds. Explore the latest offerings or book your next round. Details and coverage of our hosted event here.